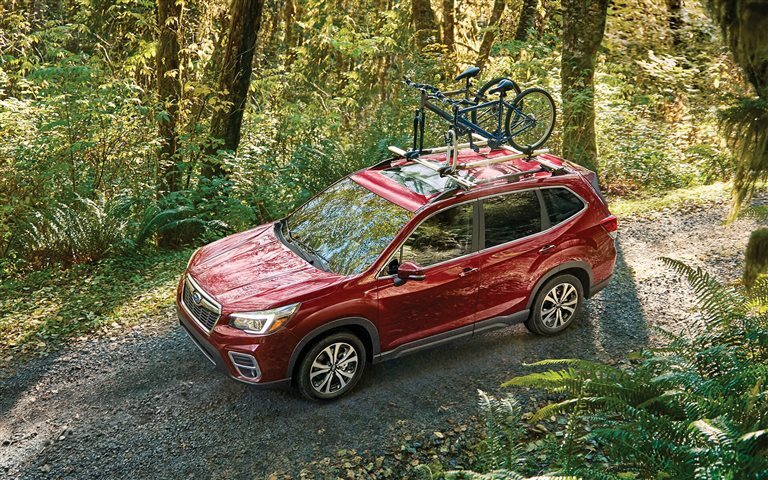 Now in its fifth generation, the all-new 2019 Subaru Forester has taken all its craftsmanship and engineering lessons over the past 22 years to give the market a stand-out compact SUV. 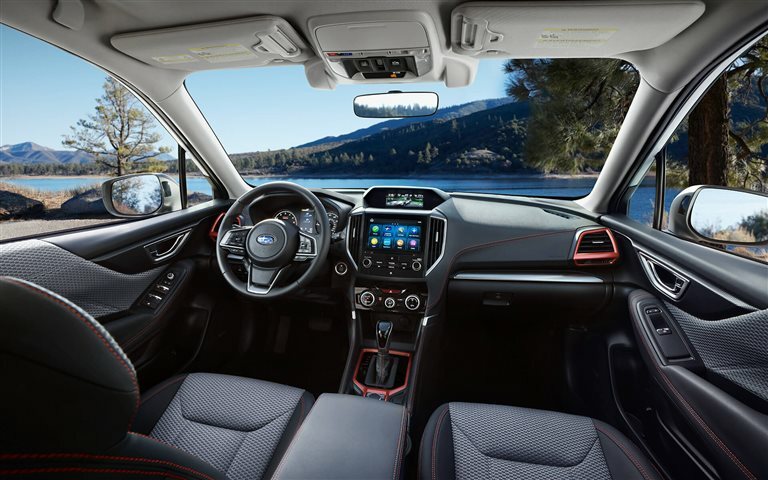 With more space, heightened safety systems, and new performance and handling technologies, the 2019 Forester is the most comfortable, reliable, and secure remodel to date. 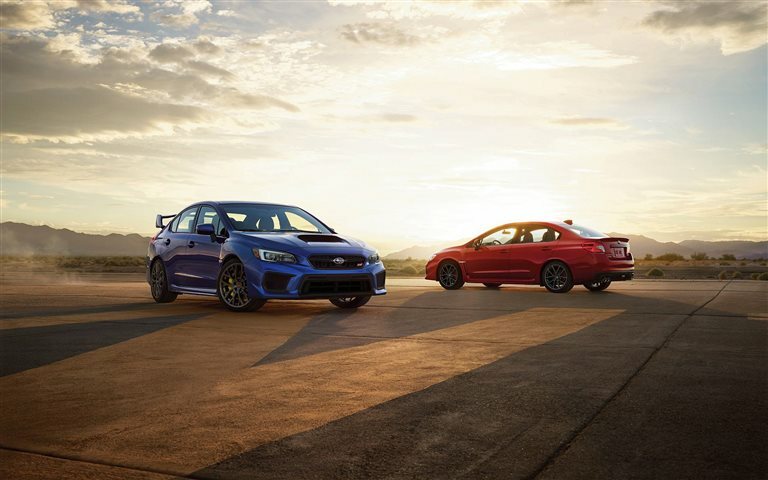 Earning IIHS' Top Safety Pick for twelve years in a row, Subaru is continuing the legacy of delivering the latest and greatest to its customers. What new design features are in the 2019 Forester? The redesigned 2019 Forester is being offered in five trim models: the Base, Premium, all-new Sport trim, Limited, and Touring. Every trim brings all new functional design to its drivers.With 8.7 inches of ground clearance, the Forester is good for even some light trailing and uneven terrains. An available X-Mode comes on select models, optimizing the AWD potential to easily handle mud, snow, lose dirt, or boost road performance at the turn of a dial. The wheelbase has been expanded by two inches, giving rear seated passengers now nearly forty inches of legroom! 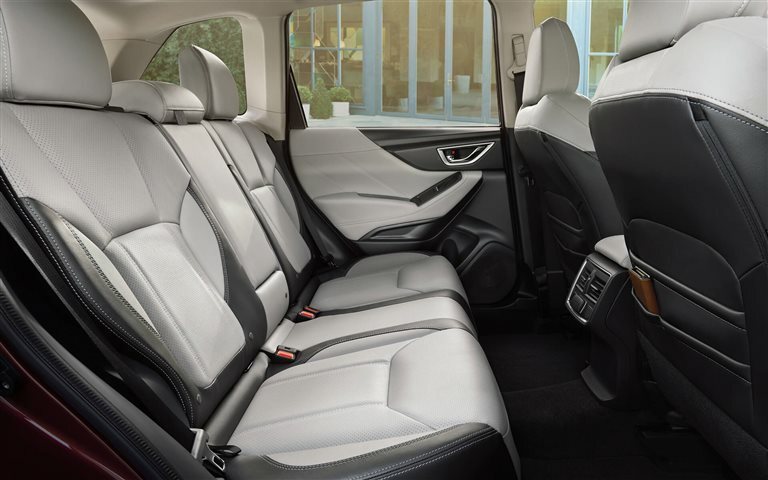 Further gains in head, hip, and shoulder room are provided in the great spaciousness of the Forester's cabin, totaling 112 cu.ft of passenger volume. And the trunk space is amazing at up to 76 cu.ft of volume. The extra wide rear liftgate is five inches wider than its previous iterations, making it easier to load up or unpack. 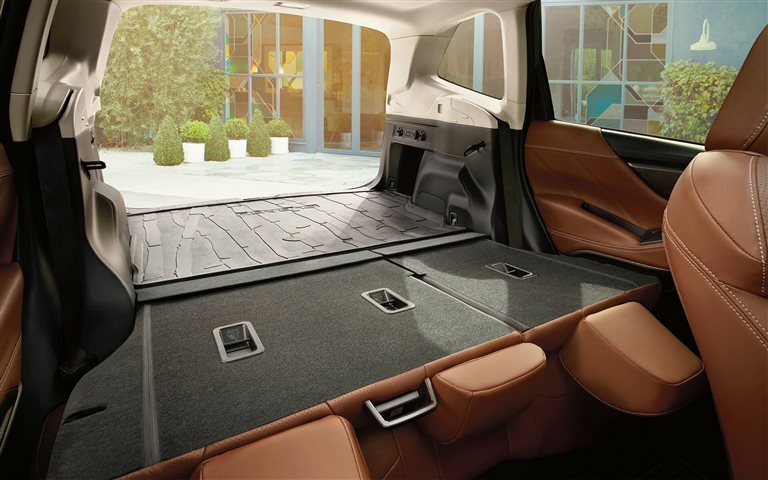 A power liftgate is optional on the Premium and Sport, and standard on the Limited and Touring. 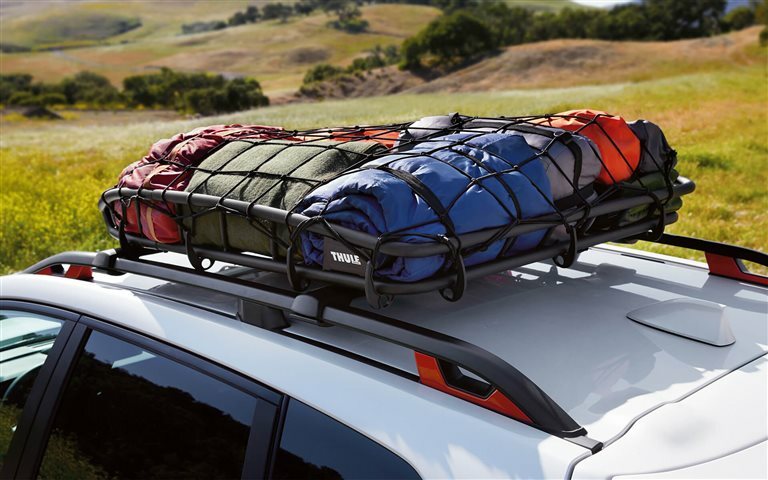 For those that want maximum flexibility on their journeys, you'll love the standard raised roof rails with integrated tie-down points. The Forester's amazing value includes an eight-inch touchscreen with the latest STARLINK Multimedia system, coming with Android Auto, Apple CarPlay, Pandora, and other apps such as navigation, news, music, and weather. The Forester comes with standard 17- or 18-inch wheels, LED fog lights, and lower body side cladding to protect against mud, rocks, and other debris. 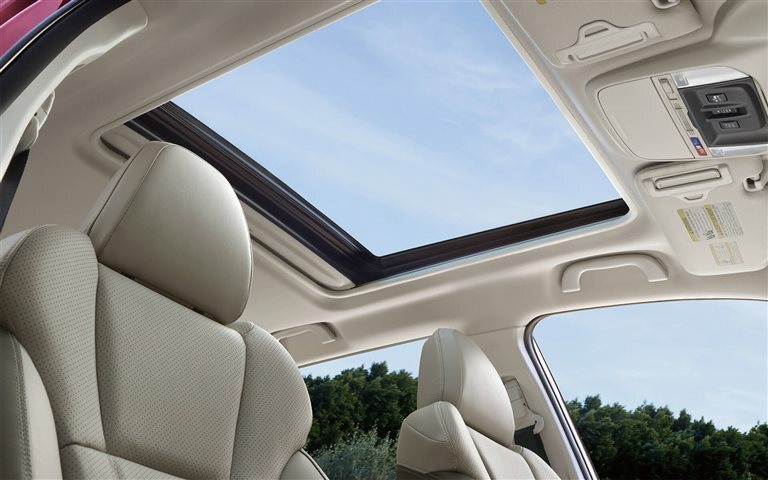 A power panoramic moonroof comes standard on all but the base model, and upgraded durable leather upholstery comes on the Limited and Touring models. What systems have been added into the new powertrain? All 2019 Foresters come with a Subaru signature 2.5-liter four-cylinder Boxer engine, well powered with 176 lb-ft of torque and 182 horsepower. 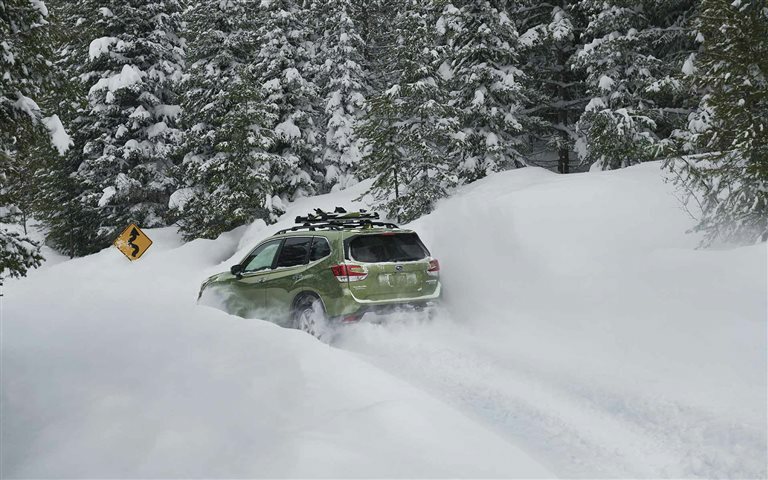 Across the board, the Forester supplies drivers with 26/33 city/highway miles per gallon and standard symmetrical all-wheel drive, rating the vehicle for a respectable 1,500-pound tow maximum. This engine comes paired with a continuously variable transmission for quick and smooth acceleration; for those who want some control, the Touring and Limited add a seven-speed manual shift mode with equipped paddle shifters. Added this year is standard Active Torque Vectoring, Auto Vehicle Hold, and an Electronic Parking Brake. Flexibility during your drive is an breeze thanks to a standard selectable Subaru Intelligent Drive, managing powertrain performance to tailor throttle for specific fuel-efficient or sport handling. Higher trims add X-MODE with Hill Descent Control. As mentioned, this employs specific performance tuning in conjunction with the all-wheel drive to better handle off-road terrains or severe weather. What are Subaru's EyeSight, DriverFocus, and StarLink safety systems? Subaru is famous for its fantastic safety and security systems, the Forester rated IIHS' Top Safety Pick for twelve years of its 22-year lifespan. 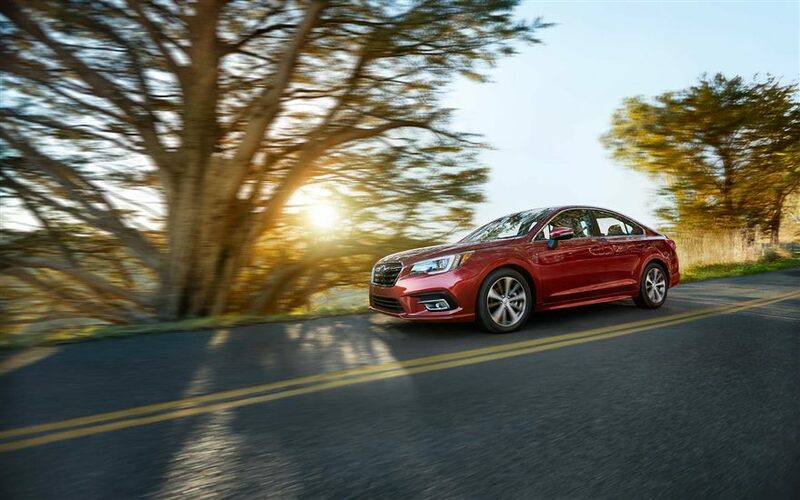 New for 2019, Subaru adds standard EyeSight Driver Assist features, with available new segment-exclusive DriverFocus safety technology built into the Touring. The standard package includes adaptive cruise control, pre-collision braking, lane departure and sway warnings, and lane-keep assist. Blind-spot and rear cross-traffic alerts are optional within the Premium and Sport while standard within the Limited and Touring. A reverse camera view is provided standard throughout all trims of the Forester. Exclusive to the Touring, the DriverFocus system employs a state-of-the-art distraction reduction, alerting the driver to detected distraction or drowsiness. 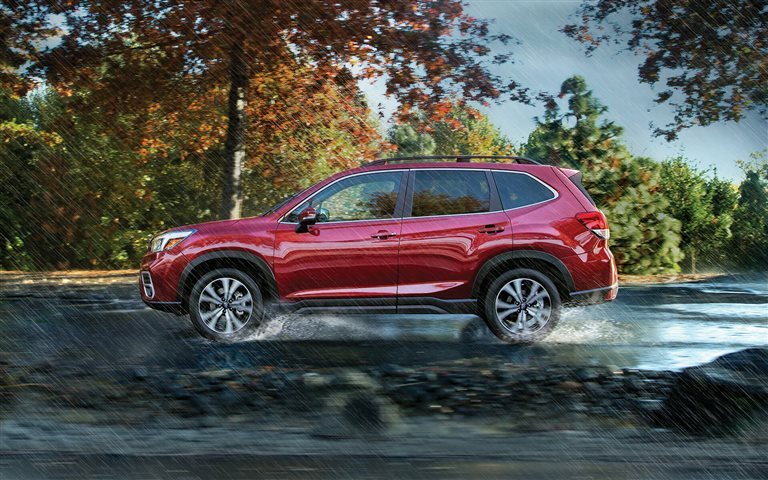 Standard on all but the base model, Subaru's STARLINK features automatic advanced collision notifications to first responders in your area, plus SOS emergency assistance for any trouble while on the road. If you're looking for a compact SUV, there's none so revamped as the Forester for 2019. 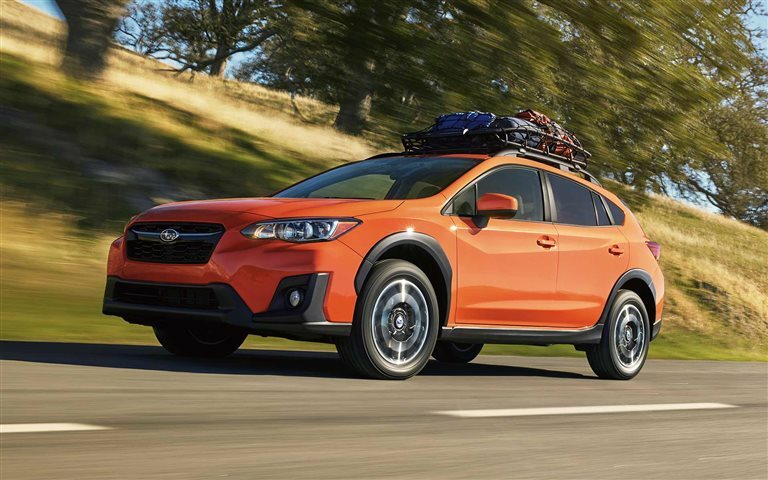 All new power, efficiency, safety, and comfort make this a worthwhile pick that will last with Subaru's legendary durability and rugged reliability. 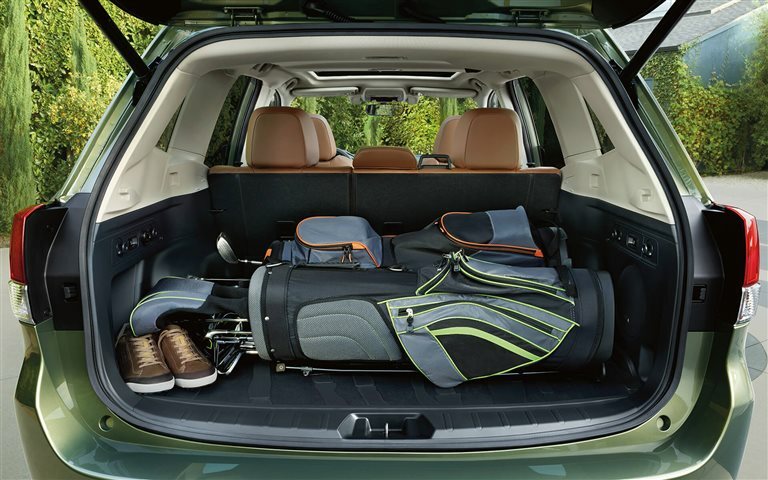 Take a look at the Forester's all new style and comfort today!